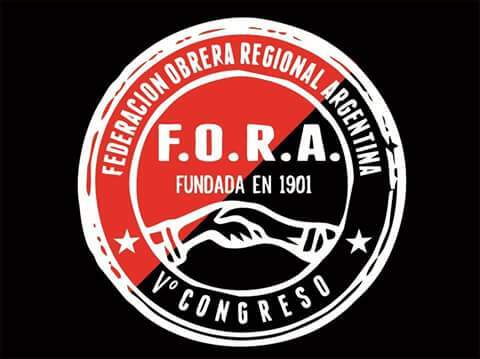 Argentina’s Federación Obrera Regional Argentina or the FORA, founded in 1905 as an explicitly anarchist-communist labour organisation, offers a rich example – an example theorised in the writings of Emilio López Arango – of a mass anarchist labour movement that endeavoured to navigate between the shoals of reformist labour unionism and anarcho-syndicalism. 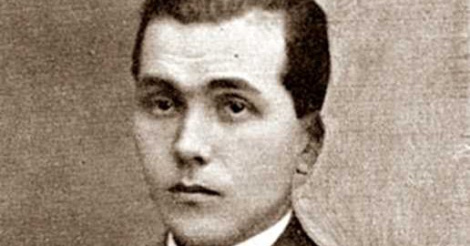 If we take López Arango as our guide, the FORA’s ambition was to ground anarchist politics in the practices of everyday working class struggles, thereby overcoming the risks of ideological sterility (and authoritarianism) in the former and reformism in the latter. The FORA would finally weaken under a variety of pressures – including the assassination of López Arango -, but it continues to offer an illustration of the necessity of anarchism to remain vitally tied to struggles, as they emerge in different contexts, pushing them always beyond their limits, multiplying their interconnections (an exclusive appropriation of the means of production, or a conquest of the State and nothing more, would be no revolution for López Arango), against the restraints of capitalist social relations. Today I reproduce an article by Scott Nappalos describing the approach to social change taken by the Argentine Regional Workers’ Federation (the FORA) in the early part of the 20th century. Although the FORA was an anarchist federation, it did not follow an anarcho-syndicalist approach, as it did not see the workers’ class struggle organizations as providing the basis for a post-revolutionary society. In Volume One of Anarchism: A Documentary History of Libertarian Ideas, I included several selections relating to this approach, including a 1925 article by Emilio López Arango and Diego Abad de Santillán on anarchism in the labour movement, where they argued that the trade union is “an economic by-product of capitalist organization… Clinging to its structures after the revolution would be tantamount to clinging to the cause that spawned it: capitalism.” I have also posted on this blog another article by López Arango on anarchism and the workers’ movement. Nappalos’ article was originally published by Ideas and Action. Nappalos has posted several translations of the writings of López Arango on the libcom.org website. The anarchists should in consequence contribute our energies to the workers movement. But our commitment poses in fact a theoretical hostility to classical syndicalism –to the syndicalism that wants to rely on itself- and takes to the field of class struggle all the theoretical differences that separate us from the marxist parties. It is the interpretation of the role of workers organizations that brings the inevitable polemic between reformists and revolutionaries. And the disagreement should be maintained at all costs, because the political and ideological mentality in the unions is as imposible as demanding that the workers limit their actions to demand better wages to the employing class. We the anarchists can’t forget that the workers movement, to be truly revolutionary, should cover the conjuncture of social factors that makes the life of the employed odious. To divide socialist ideas in different features, separating the political from the economic- the spirit of the body- is to deny to the worker the faculty to think and act in accordance with the ideal of justice. For this we want to define the trajectory of anarchism of the immediate reality not as a parallel line to the process of the capitalist economy, but as a divergent spiritual power in constant rejection of the social constructions subject to historical fatalism: the determining needs, according to marxist theorists, for the continuity of the capitalist regime. All the proletarian organizations were born of the necessity to erect a barrier to the exploitation of labor, to the monopoly of the rich for a privledged caste, and to the injustices of the masters. This is the primary contingency that explains the struggle of clases and also the fundamental dynamic of syndicalism. Suppose that the defensive action of the proletariate is only to try to find a base of equilibrium to the problem of necessities. It would then solve the economic issue placing against capitalism a strong workers coalition, regulating the economy with appropriate organs, creating a compelling power that obligates capital and labor to maintain their forces in equilibrium and resolve peacefully their differences. Is not more manifested outside the area of the influence of class struggle, to the margin of union conflicts, in the spirit of strife that frustrates all the plans of reconciliation of the reformist politicians? To find the solution to social problems in an accord between exploiters and the exploited- about the simple material contingencies- is to accept the height of historic injustices. The resistance to capitalism isn’t determined exclusively by the economic question; it has its origins in moral inequality, in all the determining causes of political privilege, of caste which sustains the regime of wage labor. Could the triumph of the working class, if only for the objective to modify the position of the classes in the social concert, mean something other than a repetition of the phenomenon that is perpetuating injustice throughout the centuries and civilizations? Syndicalism reduces the sphere of the revolutionary movement to the rule of necessities. For this the authoritarian currents that favor the organization of the workers on economic grounds-who strive to parse the ideas of the union- limit the action to the working class in defense of the wage, allocating to the parties the work of organizing political life of the peoples in the united State. Through this logic they abandon the position of syndicalism in the respect that their ideologies fail to adjust to the immediate reality. Historical materialism condemns revolutionary propaganda that breaks the rhythm of capitalist evolution. This denies the effort of the rebel against the social environment, which opposes the sacred morals for a new ethical principle, that tries to live their life belying the law of routine conventions. For these reasons, the anarchist cannot limit our interventions in the workers movement to the simple defense of the wage. Capitalism is not a simple economic concretion: it represents a state of progress and civilization, and is concrete in its force and potency in all the old and new causes of human misfortune. How can the worker liberate herself of the material slavery if she remains a slave morally? In what manner can the people come to realize their own destinies if they accept as fate all the social injustices and can only combat some of the roots of evil? All the economic reforms have in consequence the perpetuation of the capitalist regime, and a workers revolution would be nothing more than a change of the privileged classes if performed on the plane of the economy continuing the line of the industrial process, which is mechanizing the individual who has lost their best spiritual qualities by atrophy of the brain and heart. The text that is presented here corresponds to the first chapter, titled “Doctrine, tactics, and ends of the workers movement” from his book “Ideario”, published for ACAT, Buenos Aires, 1942. This entry was posted in Commentary and tagged anarchism, anarcho-syndicalism, argentina, Emilio López Arango, FORA. Bookmark the permalink.